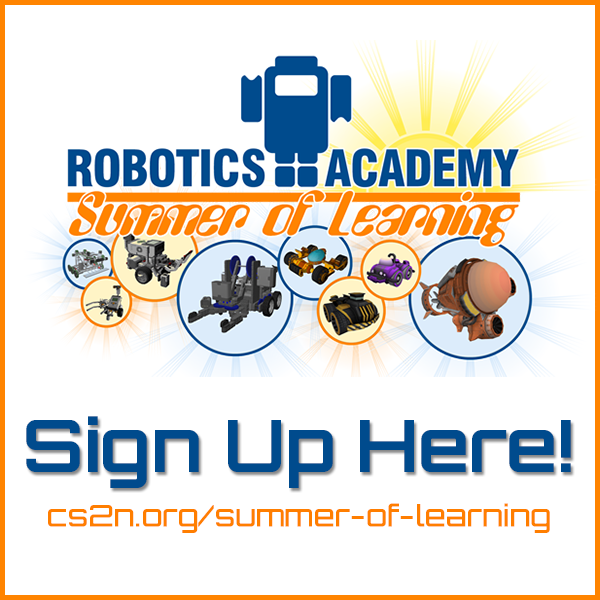 Sign up for the Robotics Summer of Learning All Summer! 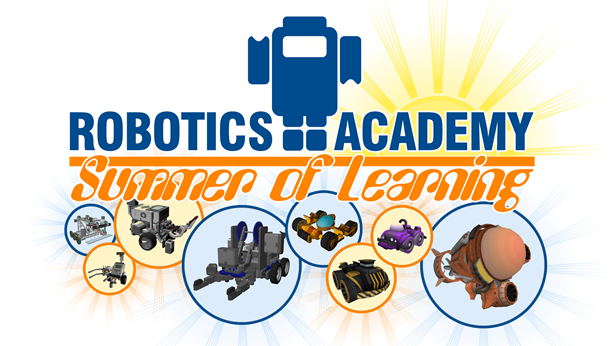 Did you know that you can sign up for the Robotics Summer of Learning anytime during the summer? All our live webinars are recorded, so you can easily sign up today and work at your own pace! How do I join and get into the class? Sign in or sign up for a new account at CS2N.org. Then visit http://cs2n.org/summer-of-learning and click on the VEX IQ robot. You’ll be taken to a new page where you will click “View” under “Summer of Learning 2014 – VEX IQ – Intro.” From there you will be in the official Summer of Learning course! How much does this course and/or software cost? Nothing at all! It is free until September 1, 2014. ROBOTC and the VEX IQ Challenge Pack. You need to download both items. The License ID and Password is located in the CS2N Moodle Course. Use these to activate the license for the entire summer (through September 1st). Computer Minimum Requirements. Where can I find the link for the live classes? The link is at the top of the section for the topic of that class. For example, if the topic for the live class is turning, the link will be at the top of the basic movement section. This is also where you will find the recording after the live class has ended. The live class schedule is listed below, but remember that you can work throughout the summer at your own pace. All classes are recorded. Just keep in mind that if you work ahead, some items of the curriculum will not be released until later this summer. Will I be able to use the ROBOTC Graphical with EV3 and/or NXT? And, will there be a RSOL class for that? ROBOTC for LEGO MINDSTORMS is still in development, but it will be available later this summer. Once it is ready, there will be a Robotics Summer of Learning course specifically for it.